It can be hard to know where to start when you decide that you want hair extensions. The first thing you should decide is whether you want real human hair or synthetic hair. The second is how you want them to fit into your head—you can have them bonded (glued), braided, or clipped into your head. Each of these options comes with their own comfort level, but of equal importance is the difference in price point. Price points for hair extensions can range from around $100 to over $1,000, leaving a big gap in the middle for you to decide what works for you. I decided to try out bonded hair extensions. After a little research, and evaluation of my budget, I chose Cinderella Hair Extensions in the 12" length. Cinderella Hair Extensions have been around since 1994. The brand uses their own unique bonding formula, which that is made of organic protein. It's designed to have little damaging effects on natural hair when applied or removed, which can be an issue with bonded hair extensions. Bonded hair extensions are small pieces of human hair that are bonded (glued) in tiny sections to your natural hair. The process is painless, but you can expect to be there anywhere from two to six hours depending on how much hair you have placed. You can choose to enhance your natural hair with extensions or different colors, make your natural hair thicker, or change your hair length dramatically. There are plenty of sub-brands to choose from within Cinderella extensions, which means you'll definitely find one that works for you. Cinderella uses 100% human Remy hair. "Remy" means that all the hair cuticles are in the same direction, which the extensions to blend and lay easily, and tangle less. Cinderella Hair Extensions cost can (and will) vary from stylist to stylist. Other things that affect the price are going to be how much hair you have placed in your head, and how long you want your extensions to be. Each pack of hair costs $60 to $130—expect to use three to seven packs of hair for a full head of extensions. You'll also then have to pay to have your stylist place the hair extensions in addition to the cost of the hair. Most stylists charge by the hour, and each pack of hair will take 30 to 60 minutes to place. This is all to say that the cost of extensions can add up quickly. You should also keep in mind that there are fees to have the extensions removed. In order to get Cinderella Hair Extensions installed, you'll have to find a stylist that's been certified and trained by the brand. During your consultation, you'll go over your expectations and decide how long your extensions will be, how many packs of hair you will need, and choose a color (or colors). Your stylist should have samples of the hair in each color, so you'll be able to compare, mix, and match. I was personally quite impressed with the feel of Cinderella hair and the wide variety of colors available. After your consultation, you'll schedule an appointment to have the hair placed, and in all likelihood you'll be asked to sign a contract. Most stylists will have you sign a contract that doesn't hold them liable for the condition of your hair after you leave the salon. The purpose of this contract is to release the stylist from responsibility, particularly if you don't take proper care of the hair after leaving the salon. It might be necessary to freshen up your color prior to your extension appointment so everything looks uniform. You can color your hair after the extensions are placed, however, the less chemical processing done to extensions the better. At the beginning of your appointment, your stylist will wash and dry your hair like with any appointment. They'll start at the nape of your neck and section your hair off into small sections, on which they'll to place the pieces of hair. As previously mentioned, the process will take 30 to 60 minutes per pack of hair. I originally had three packs of hair placed, and later went back and had a fourth pack put in. Cinderella Hair Extensions, as with all brands, take significantly more time to care for than natural hair. Like normal hair, it's recommended that you do not wash the extensions every day. But even then, specific shampoo and conditioner from Cinderella is highly recommended. I did use the shampoo and conditioner, but I didn't like the conditioner, and usually just used my own in addition to the Cinderella conditioner. It's also necessary to keep the extensions tangle-free and brushed. You're supposed to use a specific brush for extensions. The brushes are made with loops instead of bristles, and you should brush the hair at least twice a day. The extensions can be blow dried, flat ironed, curled, braided, or pinned just like natural hair. I often curled or flat ironed my extensions. I wore them up, down, and every possibility in between. It was fun to experiment with different styles. Like all hair, the more you abuse them, the worse they will look. So it's sill important to be nice to your hair extensions and not over style them, if possible. 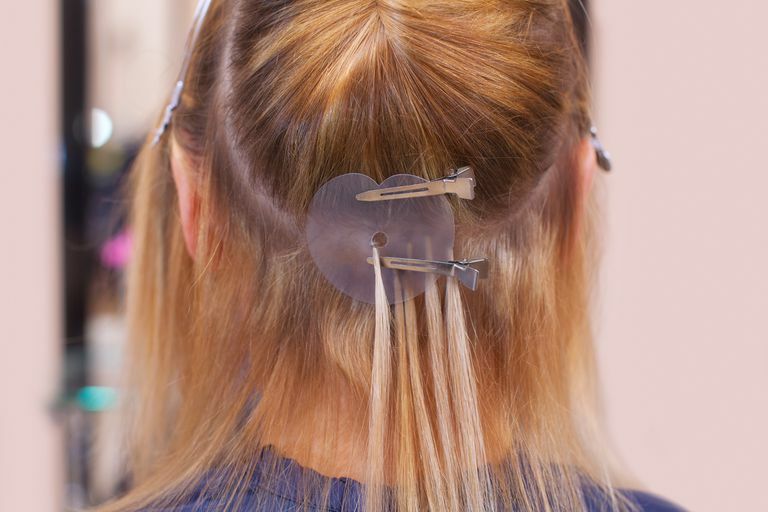 While your extensions are in, you may lose a few from time to time. When an extension falls out, your natural hair (does unfortunately) come out with it. The harder you are on your hair and the more you allow it to tangle, the more hair will fall out. I probably lost one to two extensions per week during the three months that they were in. Overall, though, Cinderella Hair Extensions can be expected to last as long as four months. It's typical to have them replaced or taken out after three. After my extensions were removed, I had to re-acclimate myself to the thickness of my own hair. It felt very thin and a little weak immediately after removing the extensions, but after about five or six weeks, it bounced back nicely. I did have a professional reconditioning and strengthening treatment done weekly after the extensions were removed. Two to three months after removing the extensions, my natural hair was fully back to normal. Hair extensions are not cheap, and require a time commitment as well as money to take care of them properly. This is the most important thing I could convey to anyone that is considering having hair extensions placed. Hair extensions are not a wash-and-go hairstyle. A commitment of at least one to two hours per day is necessary to keep them looking nice. I would recommend Cinderella Hair Extensions to anyone with the time, money, and energy required to keep them looking beautiful. 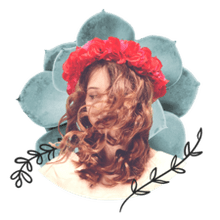 It's important to keep in mind that the cost of the hair and the cost to the stylist to place them are not the only expenses you incur when getting extensions. Proper care includes the cost of styling products and treatments to keep your hair looking beautiful.